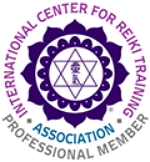 This Reiki I & II class combines lecture, discussion, demonstration and practice so that the student has an interactive hands-on experience. Cost: $350.00 with a $150.00 non-refundable deposit. Download and complete the appropriate class registration form (required). Submit your payment with the mail-in registration or pay for class via PayPal button. If you have specific questions about Reiki or about a Reiki class, contact Diana directly. She welcomes your questions and looks forward to helping you grow through Reiki training and attunement. Reiki I/II Classes ART/Master Classes Karuna Reiki© Classes Please note that Know Thyself Healing Center’s classes are kept relatively small, for an intimate hands-on approach to teaching this healing art. Nonetheless, a class that has not filled its minimal number of registrants within 2-3 weeks of the class may be canceled. So it is important that you register early both to ensure that the class will be held and that you will have a seat in it.